Like a lot of people a few weeks ago, I took advantage of the Kikki K sale. I fought it for a little while but the call of the yellow medium time planner was just too much. First up are the stationery bits I bought. I only have a pencil case for work and so needed one for when I want to plan on the go in my Fuchsia Original. I only ever want to take a couple of pens with me as I have my sticky notes and stickers in the planner itself, so this is perfect. I’m developing quite a collection of to do list notebooks; I can’t resist them. The blue was only £2.38 in the sale so it would have been rude not to. I really liked it as it’s not just your typical to do list, it’s got bits at the bottom for your priorities and tasks you’re saving for later. Perfect for busy days when I’m working on the blog and/or shop. This A4 week to view pad I actually bought for work. I currently have a Paperchase one that only has a few weeks worth of pages left and for £3.00 I couldn’t really pass this up. I also love this because it’s not just got spaces for the days, it’s also got a space for next week and a to do list… although I do tend to use these pads as one big to do list as all my appointments go into my Outlook calendar. For those of you who work in an office, I can’t recommend a pad like this highly enough. The only thing I’d say about these Kikki K pads is the paper is quite thin in comparison to the Paperchase one I’m using currently. 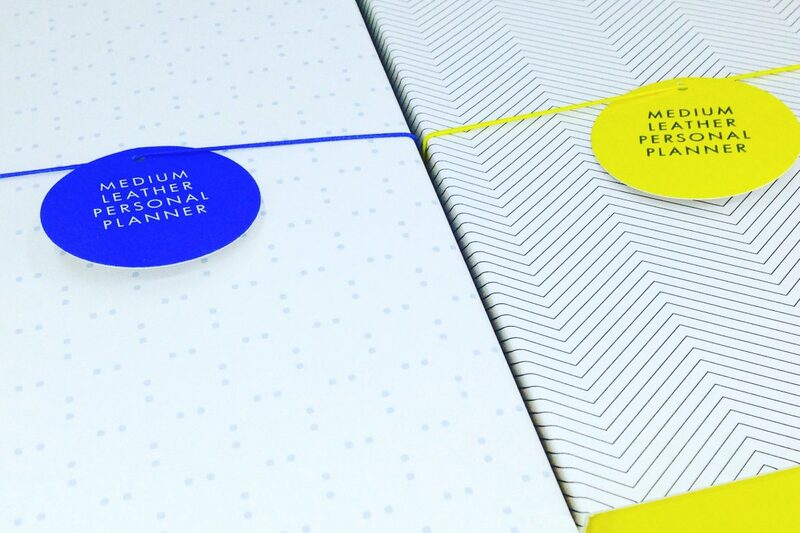 When it came to planners I couldn’t decide between two- the yellow and the perforated ice blue. As it came to less than £50 for both I just went for both… I knew I could find uses for them! This is my first medium Kikki K (medium is equivalent to personal Filofax size) as my other Kikki is a large. This colour is beautiful and the planner itself feels very sturdy. I’m also loving the black and white interior. This doesn’t lay flat right out of the box but I’m sure I can train it no problem. As usual with the Kikki K’s you get it packed full with stuff – the inside left has got four pockets in total and the back has a back pocket with a notebook in. You get a perpetual calendar and loads of note paper. I loved the colour on this one too, and the perforated design is just a little bit different. This planner is blue on the inside too – perfect if you like your insides and outsides to match. There are a few disappointments with these planners though – the paper is a touch thinner than it used to be for a start. There’s also a massive amount of curling of the back pages when you close the planner. It looks like I’ll need to get some laminated card or something to put at the back to stop that from happening. It only does it slightly on my A5 Kikki K but doesn’t happen at all really in my personal Original so I wasn’t expecting it to happen with this and it’s really quite annoying. Because of this curling, I also find the planners quite stiff to close sometimes. I think this may have put me off buying any more medium Kikki’s if I’m honest. Finally I bought something that wasn’t in the sale but I just had to have it… This is a beautiful, leather travel wallet. I’ve always wanted something to take on holiday that can hold all my important bits together and this fits the bill perfectly. It keeps everything (including an all important pen) so I don’t have to go looking through my bag and it’s also one thing to go in a hotel room safe when out and about. I love this and can’t wait to use it on my summer holiday! So that was my Kikki K sale haul. Overall I’m really happy with everything.. I’m just not sure of the quality the planners anymore. Maybe they’ll break in and become a little bit easier to use and maybe with some laminated card in the back they’ll be perfect. Once they’re both fully set up and functional I’ll take you on a guided tour and do a follow up review! If you succumbed to the Kikki K sale let me know below what you bought!